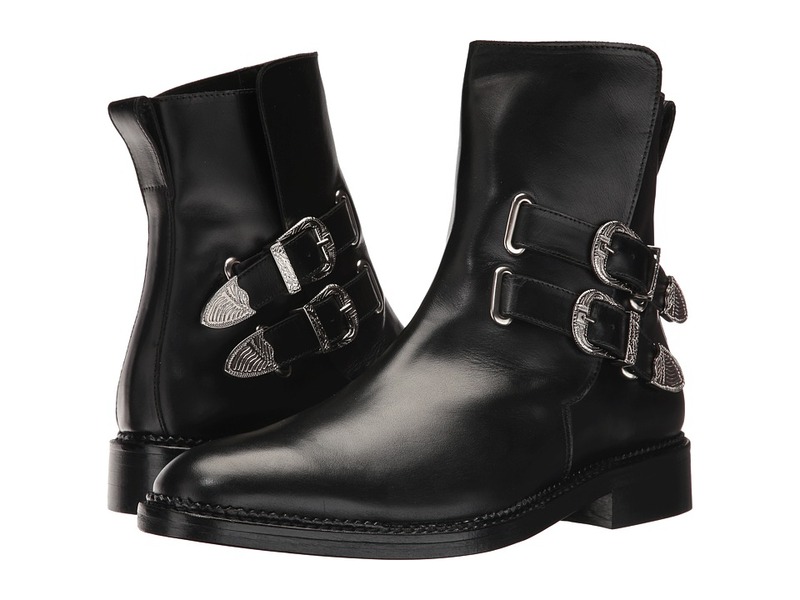 Give yourself only the finest things in life wearing these Leather Western Buckle Boots from Toga Virilis. Genuine leather upper with elastic goring. Back-pull tab with adjustable buckles at the vamp. Smooth leather lining. Round-toe silhouette. Leather insole. Stacked heel with leather outsole. Imported. Measurements: Weight: 1 lb 6 oz Shaft: 8 in Product measurements were taken using size 44, width M. Please note that measurements may vary by size. Weight of footwear is based on a single item, not a pair.